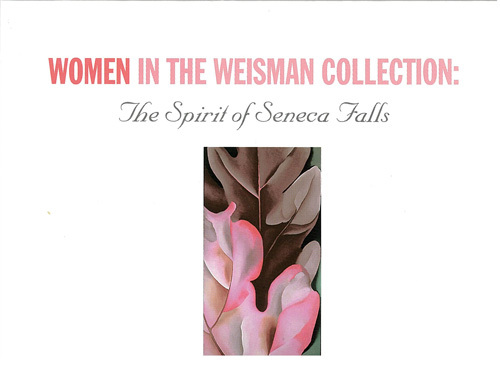 Each summer at WAM, an exhibit opens with a theme that focuses on the permanent collection. 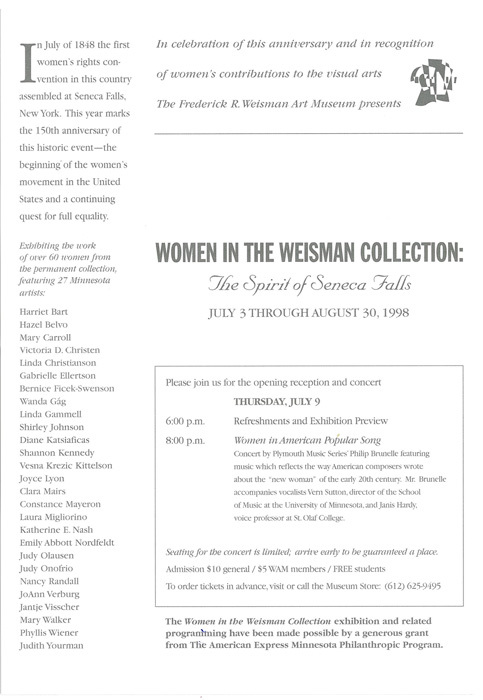 In the summer of 1998, to commemorate the 150th anniversary of the Seneca Falls Convention–the milestone meeting that signaled the beginning of the women’s rights movement, the museum held an exhibit titled Women in the Weisman Collection: The Spirit of Seneca Falls. 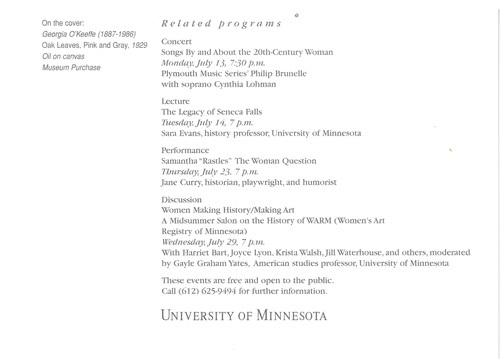 Several of the female artists exhibited in the 1998 Women exhibit have works currently on display in WAM’s summer show, Tenuous, Though Real. Visit WAM through September 16th to view works by Harriet Bart, Hazel Belvo, Clara Mairs, Laura Migliorino, and Judy Onofrio.